PREMIUM PACKAGE, LED LOGO PROJECTORS, BLIND SPOT ASSIST, HEATED STEERING WHEEL, HEATED FRONT SEATS. Recent Arrival! 22/33 City/Highway MPG The C-Class is the epitome of a sporty, sleek, and roomy vehicle. It provides the best of all worlds and is up for any driving challenge it may come across. Get ready for a great drive with the push of a button, with the KEYLESS GO® feature on this vehicle. The C-Class is designed with muscular lines across the body of the vehicle that spark a sense of elegance, confidence, and capability within the vehicle. You will definitely turn heads and grab the attention you deserve when you drive a Mercedes-Benz C-Class! The interior is just as impressive as the exterior in the C-Class. You'll be welcomed by the LED Logo Projectors shining the three-pointed star proudly onto the pavement below when you open the door. The cabin provides a generous amount of room for a sedan of its size, and has the comfort and convenience in mind of the driver. With vivid and colorful displays, elegant dashboard components, and comfortable seating, the C-Class makes every single drive a happy and comfortable one. You can stay fully connected in this C-Class with Apple CarPlay and Android Auto. Not only is the interior comfortable, but it is modern and stylish. The Heated Front Seats and Heated Steering Wheel will keep you nice and cozy on this chilly mornings. The interior demonstrates a long rooted tradition of craftsmanship that is within Mercedes-Benz vehicles. You as the driver, as well as your passengers will feel like VIP's riding in style when you take a drive in the C-Class!PREMIUM PACKAGE, LED LOGO PROJECTORS, BLIND SPOT ASSIST, HEATED STEERING WHEEL, HEATED FRONT SEATS. The C-Class is the epitome of a sporty, sleek, and roomy vehicle. It provides the best of all worlds and is up for any driving challenge it may come across. Get ready for a great drive with the push of a button, with the KEYLESS GO® feature on this vehicle. The C-Class is designed with muscular lines across the body of the vehicle that spark a sense of elegance, confidence, and capability within the vehicle. You will definitely turn heads and grab the attention you deserve when you drive a Mercedes-Benz C-Class! The interior is just as impressive as the exterior in the C-Class. You'll be welcomed by the LED Logo Projectors shining the three-pointed star proudly onto the pavement below when you open the door. The cabin provides a generous amount of room for a sedan of its size, and has the comfort and convenience in mind of the driver. With vivid and colorful displays, elegant dashboard components, and comfortable seating, the C-Class makes every single drive a happy and comfortable one. You can stay fully connected in this C-Class with Apple CarPlay and Android Auto. Not only is the interior comfortable, but it is modern and stylish. The Heated Front Seats and Heated Steering Wheel will keep you nice and cozy on this chilly mornings. The interior demonstrates a long rooted tradition of craftsmanship that is within Mercedes-Benz vehicles. You as the driver, as well as your passengers will feel like VIP's riding in style when you take a drive in the C-Class! PREMIUM PACKAGE, REAR DECK SPOILER, BLIND SPOT ASSIST, HEATED STEERING WHEEL, HEATED FRONT SEATS. Recent Arrival! 22/33 City/Highway MPG The C-Class is the epitome of a sporty, sleek, and roomy vehicle. It provides the best of all worlds and is up for any driving challenge it may come across. Get ready for a great drive with the push of a button, with the KEYLESS GO® feature on this vehicle. The C-Class is designed with muscular lines across the body of the vehicle that spark a sense of elegance, confidence, and capability within the vehicle. You will definitely turn heads and grab the attention you deserve when you drive a Mercedes-Benz C-Class! The interior is just as impressive as the exterior in the C-Class. The cabin provides a generous amount of room for a sedan of its size, and has the comfort and convenience in mind of the driver. With vivid and colorful displays, elegant dashboard components, and comfortable seating, the C-Class makes every single drive a happy and comfortable one. You can stay fully connected in this C-Class with Apple CarPlay and Android Auto. Not only is the interior comfortable, but it is modern and stylish. The Heated Front Seats and Heated Steering Wheel will keep you nice and cozy on this chilly mornings. The interior demonstrates a long rooted tradition of craftsmanship that is within Mercedes-Benz vehicles. You as the driver, as well as your passengers will feel like VIP's riding in style when you take a drive in the C-Class! PREMIUM PACKAGE, REAR DECK SPOILER, BLIND SPOT ASSIST, HEATED STEERING WHEEL, HEATED FRONT SEATS. The interior is just as impressive as the exterior in the C-Class. The cabin provides a generous amount of room for a sedan of its size, and has the comfort and convenience in mind of the driver. With vivid and colorful displays, elegant dashboard components, and comfortable seating, the C-Class makes every single drive a happy and comfortable one. You can stay fully connected in this C-Class with Apple CarPlay and Android Auto. PREMIUM PACKAGE, REAR DECK SPOILER, BLIND SPOT ASSIST, HEATED FRONT SEATS. Recent Arrival! 22/33 City/Highway MPG The C-Class is the epitome of a sporty, sleek, and roomy vehicle. It provides the best of all worlds and is up for any driving challenge it may come across. The C-Class is designed with muscular lines across the body of the vehicle, paired with a Rear Deck Spoiler that sparks a sense of elegance, confidence, and capability within the vehicle. You will definitely turn heads and grab the attention you deserve when you drive a Mercedes-Benz C-Class! The interior is just as impressive as the exterior in the C-Class. The cabin provides a generous amount of room for a sedan of its size, and has the comfort and convenience in mind of the driver. Enjoy the Heated Steering Wheel and Heated Front Seats on the coldest of mornings. Get started right away with the push of a button with KEYLESS GO®! With vivid and colorful displays, elegant dashboard components, and comfortable seating, the C-Class makes every single drive a happy and comfortable one. Not only is the interior comfortable, but it is modern and stylish. The interior demonstrates a long rooted tradition of craftsmanship that is within Mercedes-Benz vehicles. You as the driver, as well as your passengers will feel like VIP's riding in style when you take a drive in the C-Class!PREMIUM PACKAGE, REAR DECK SPOILER, BLIND SPOT ASSIST, HEATED FRONT SEATS. The C-Class is the epitome of a sporty, sleek, and roomy vehicle. It provides the best of all worlds and is up for any driving challenge it may come across. The C-Class is designed with muscular lines across the body of the vehicle, paired with a Rear Deck Spoiler that sparks a sense of elegance, confidence, and capability within the vehicle. You will definitely turn heads and grab the attention you deserve when you drive a Mercedes-Benz C-Class! PREMIUM PACKAGE, REAR DECK SPOILER, BLIND SPOT ASSIST, HEATED FRONT SEATS. Recent Arrival! 22/33 City/Highway MPG The C-Class is the epitome of a sporty, sleek, and roomy vehicle. It provides the best of all worlds and is up for any driving challenge it may come across. The C-Class is designed with muscular lines across the body of the vehicle, paired with a Rear Deck Spoiler that spark a sense of elegance, confidence, and capability within the vehicle. You will definitely turn heads and grab the attention you deserve when you drive a Mercedes-Benz C-Class! The interior is just as impressive as the exterior in the C-Class. The cabin provides a generous amount of room for a sedan of its size, and has the comfort and convenience in mind of the driver. Enjoy the Heated Steering Wheel and Heated Front Seats on the coldest of mornings. Get started right away with the push of a button with KEYLESS GO®! With vivid and colorful displays, elegant dashboard components, and comfortable seating, the C-Class makes every single drive a happy and comfortable one. Not only is the interior comfortable, but it is modern and stylish. The interior demonstrates a long rooted tradition of craftsmanship that is within Mercedes-Benz vehicles. You as the driver, as well as your passengers will feel like VIP's riding in style when you take a drive in the C-Class!PREMIUM PACKAGE, REAR DECK SPOILER, BLIND SPOT ASSIST, HEATED FRONT SEATS. PREMIUM PACKAGE, REAR DECK SPOILER, BLIND SPOT ASSIST, HEATED FRONT SEATS. Recent Arrival! 22/33 City/Highway MPG The C-Class is the epitome of a sporty, sleek, and roomy vehicle. It provides the best of all worlds and is up for any driving challenge it may come across. The C-Class is designed with muscular lines across the body of the vehicle that spark a sense of elegance, confidence, and capability within the vehicle. You will definitely turn heads and grab the attention you deserve when you drive a Mercedes-Benz C-Class! The interior is just as impressive as the exterior in the C-Class. The cabin provides a generous amount of room for a sedan of its size, and has the comfort and convenience in mind of the driver. With vivid and colorful displays, elegant dashboard components, and comfortable seating, the C-Class makes every single drive a happy and comfortable one. Not only is the interior comfortable, but it is modern and stylish. The interior demonstrates a long rooted tradition of craftsmanship that is within Mercedes-Benz vehicles. You as the driver, as well as your passengers will feel like VIP's riding in style when you take a drive in the C-Class!PREMIUM PACKAGE, REAR DECK SPOILER, BLIND SPOT ASSIST, HEATED FRONT SEATS. PREMIUM PACKAGE, REAR DECK SPOILER, BLIND SPOT ASSIST, HEATED FRONT SEATS, HEATED STEERING WHEEL. Recent Arrival! 22/33 City/Highway MPG The C-Class is the epitome of a sporty, sleek, and roomy vehicle. It provides the best of all worlds and is up for any driving challenge it may come across. Get ready for a great drive with the push of a button, with the KEYLESS GO® feature on this vehicle. The C-Class is designed with muscular lines across the body of the vehicle that spark a sense of elegance, confidence, and capability within the vehicle. You will definitely turn heads and grab the attention you deserve when you drive a Mercedes-Benz C-Class! The interior is just as impressive as the exterior in the C-Class. The cabin provides a generous amount of room for a sedan of its size, and has the comfort and convenience in mind of the driver. With vivid and colorful displays, elegant dashboard components, and comfortable seating, the C-Class makes every single drive a happy and comfortable one. You can stay fully connected in this C-Class with Apple CarPlay and Android Auto. Not only is the interior comfortable, but it is modern and stylish. The Heated Front Seats and Heated Steering Wheel will keep you nice and cozy on this chilly mornings. The interior demonstrates a long rooted tradition of craftsmanship that is within Mercedes-Benz vehicles. You as the driver, as well as your passengers will feel like VIP's riding in style when you take a drive in the C-Class!PREMIUM PACKAGE, REAR DECK SPOILER, BLIND SPOT ASSIST, HEATED FRONT SEATS, HEATED STEERING WHEEL. PREMIUM PACKAGE, ILLUMINATED STAR, REAR DECK SPOILER, LED LOGO PROJECTORS, 18" TWIN 5-SPOKE WHEELS, BLIND SPOT ASSIST, HEATED FRONT SEATS. Recent Arrival! 22/33 City/Highway MPG The C-Class is the epitome of a sporty, sleek, and roomy vehicle. It provides the best of all worlds and is up for any driving challenge it may come across. The C-Class is designed with muscular lines across the body of the vehicle that spark a sense of elegance, confidence, and capability within the vehicle. You will definitely turn heads and grab the attention you deserve when you drive a Mercedes-Benz C-Class! The interior is just as impressive as the exterior in the C-Class. The cabin provides a generous amount of room for a sedan of its size, and has the comfort and convenience in mind of the driver. With vivid and colorful displays, elegant dashboard components, and comfortable seating, the C-Class makes every single drive a happy and comfortable one. Not only is the interior comfortable, but it is modern and stylish. The interior demonstrates a long rooted tradition of craftsmanship that is within Mercedes-Benz vehicles. You as the driver, as well as your passengers will feel like VIP's riding in style when you take a drive in the C-Class!PREMIUM PACKAGE, ILLUMINATED STAR, REAR DECK SPOILER, LED LOGO PROJECTORS, 18" TWIN 5-SPOKE WHEELS, BLIND SPOT ASSIST, HEATED FRONT SEATS. PREMIUM PACKAGE, REAR DECK SPOILER, LED LOGO PROJECTORS, 18" TWIN 5-SPOKE WHEELS, BLIND SPOT ASSIST, HEATED STEERING WHEEL, HEATED FRONT SEATS. Recent Arrival! 22/33 City/Highway MPG The C-Class is the epitome of a sporty, sleek, and roomy vehicle. It provides the best of all worlds and is up for any driving challenge it may come across. Get ready for a great drive with the push of a button, with the KEYLESS GO® feature on this vehicle. The C-Class is designed with muscular lines across the body of the vehicle that spark a sense of elegance, confidence, and capability within the vehicle. You will definitely turn heads and grab the attention you deserve when you drive a Mercedes-Benz C-Class! The interior is just as impressive as the exterior in the C-Class. You'll be welcomed by the LED Logo Projectors shining the three-pointed star proudly onto the pavement below when you open the door. The cabin provides a generous amount of room for a sedan of its size, and has the comfort and convenience in mind of the driver. With vivid and colorful displays, elegant dashboard components, and comfortable seating, the C-Class makes every single drive a happy and comfortable one. You can stay fully connected in this C-Class with Apple CarPlay and Android Auto. Not only is the interior comfortable, but it is modern and stylish. The Heated Front Seats and Heated Steering Wheel will keep you nice and cozy on this chilly mornings. The interior demonstrates a long rooted tradition of craftsmanship that is within Mercedes-Benz vehicles. You as the driver, as well as your passengers will feel like VIP's riding in style when you take a drive in the C-Class!PREMIUM PACKAGE, REAR DECK SPOILER, LED LOGO PROJECTORS, 18" TWIN 5-SPOKE WHEELS, BLIND SPOT ASSIST, HEATED STEERING WHEEL, HEATED FRONT SEATS. PREMIUM PACKAGE, REAR DECK SPOILER, LED LOGO PROJECTORS, 18" TWIN 5-SPOKE WHEELS, BLIND SPOT ASSIST, HEATED STEERING WHEEL, 10.25" CENTER DISPLAY, HEATED FRONT SEATS. Recent Arrival! 22/33 City/Highway MPG The C-Class is the epitome of a sporty, sleek, and roomy vehicle. It provides the best of all worlds and is up for any driving challenge it may come across. Get ready for a great drive with the push of a button, with the KEYLESS GO® feature on this vehicle. The C-Class is designed with muscular lines across the body of the vehicle that spark a sense of elegance, confidence, and capability within the vehicle. You will definitely turn heads and grab the attention you deserve when you drive a Mercedes-Benz C-Class! The interior is just as impressive as the exterior in the C-Class. You'll be welcomed by the LED Logo Projectors shining the three-pointed star proudly onto the pavement below when you open the door. The cabin provides a generous amount of room for a sedan of its size, and has the comfort and convenience in mind of the driver. With vivid and colorful displays, elegant dashboard components, and comfortable seating, the C-Class makes every single drive a happy and comfortable one. You can stay fully connected in this C-Class with Apple CarPlay and Android Auto. Not only is the interior comfortable, but it is modern and stylish. The Heated Front Seats and Heated Steering Wheel will keep you nice and cozy on this chilly mornings. The interior demonstrates a long rooted tradition of craftsmanship that is within Mercedes-Benz vehicles. You as the driver, as well as your passengers will feel like VIP's riding in style when you take a drive in the C-Class!PREMIUM PACKAGE, REAR DECK SPOILER, LED LOGO PROJECTORS, 18" TWIN 5-SPOKE WHEELS, BLIND SPOT ASSIST, HEATED STEERING WHEEL, 10.25" CENTER DISPLAY, HEATED FRONT SEATS. PREMIUM PACKAGE, ILLUMINATED STAR, 18" TWIN 5-SPOKE WHEELS, BLIND SPOT ASSIST, PANORAMA ROOF, HEATED STEERING WHEEL, BURMESTER SURROUND SOUND SYSTEM, HEATED FRONT SEATS. Recent Arrival! 22/33 City/Highway MPG The C-Class is the epitome of a sporty, sleek, and roomy vehicle. It provides the best of all worlds and is up for any driving challenge it may come across. Get ready for a great drive with the push of a button, with the KEYLESS GO® feature on this vehicle. The C-Class is designed with muscular lines across the body of the vehicle that spark a sense of elegance, confidence, and capability within the vehicle. You will definitely turn heads and grab the attention you deserve when you drive a Mercedes-Benz C-Class! Especially with the Illuminated Star in the grille shining bright. The interior is just as impressive as the exterior in the C-Class. The cabin provides a generous amount of room for a sedan of its size, and has the comfort and convenience in mind of the driver. With vivid and colorful displays, elegant dashboard components, and comfortable seating, the C-Class makes every single drive a happy and comfortable one. You can stay fully connected in this C-Class with Apple CarPlay and Android Auto. The Burmester Surround Sound System will have you feeling like you are at your own personal concert in your car with your favorite music in crystal clear sound. Not only is the interior comfortable, but it is modern and stylish. The Heated Front Seats and Heated Steering Wheel will keep you nice and cozy on this chilly mornings. The Panorama Roof creates an open-air feel inside, with a glass roof that slides from front to back. The interior demonstrates a long rooted tradition of craftsmanship that is within Mercedes-Benz vehicles. You as the driver, as well as your passengers will feel like VIP's riding in style when you take a drive in the C-Class!PREMIUM PACKAGE, ILLUMINATED STAR, 18" TWIN 5-SPOKE WHEELS, BLIND SPOT ASSIST, PANORAMA ROOF, HEATED STEERING WHEEL, BURMESTER SURROUND SOUND SYSTEM, HEATED FRONT SEATS. The C-Class is designed with muscular lines across the body of the vehicle that spark a sense of elegance, confidence, and capability within the vehicle. You will definitely turn heads and grab the attention you deserve when you drive a Mercedes-Benz C-Class! Especially with the Illuminated Star in the grille shining bright. The interior is just as impressive as the exterior in the C-Class. The cabin provides a generous amount of room for a sedan of its size, and has the comfort and convenience in mind of the driver. With vivid and colorful displays, elegant dashboard components, and comfortable seating, the C-Class makes every single drive a happy and comfortable one. You can stay fully connected in this C-Class with Apple CarPlay and Android Auto. The Burmester Surround Sound System will have you feeling like you are at your own personal concert in your car with your favorite music in crystal clear sound. Not only is the interior comfortable, but it is modern and stylish. The Heated Front Seats and Heated Steering Wheel will keep you nice and cozy on this chilly mornings. The Panorama Roof creates an open-air feel inside, with a glass roof that slides from front to back. The interior demonstrates a long rooted tradition of craftsmanship that is within Mercedes-Benz vehicles. You as the driver, as well as your passengers will feel like VIP's riding in style when you take a drive in the C-Class! PREMIUM PACKAGE, ILLUMINATED STAR, LED LOGO PROJECTORS, 18" TWIN 5-SPOKE WHEELS, BLIND SPOT ASSIST, PANORAMA ROOF, BURMESTER SURROUND SOUND SYSTEM, HEATED FRONT SEATS. Recent Arrival! 22/33 City/Highway MPG The C-Class is the epitome of a sporty, sleek, and roomy vehicle. It provides the best of all worlds and is up for any driving challenge it may come across. The C-Class is designed with muscular lines across the body of the vehicle that spark a sense of elegance, confidence, and capability within the vehicle. You will definitely turn heads and grab the attention you deserve when you drive a Mercedes-Benz C-Class, especially with the Illuminated Star in the grille shining bright, paired with the LED Logo Projectors that shine when you open the door! The interior is just as impressive as the exterior in the C-Class. The cabin provides a generous amount of room for a sedan of its size, and has the comfort and convenience in mind of the driver. With vivid and colorful displays, elegant dashboard components, and comfortable seating, the C-Class makes every single drive a happy and comfortable one. Not only is the interior comfortable, but it is modern and stylish. Enjoy the Heated Front Seats and Heated Steering Wheel on those crisp and cool mornings. The interior demonstrates a long rooted tradition of craftsmanship that is within Mercedes-Benz vehicles. You as the driver, as well as your passengers will feel like VIP's riding in style when you take a drive in the C-Class!PREMIUM PACKAGE, ILLUMINATED STAR, LED LOGO PROJECTORS, 18" TWIN 5-SPOKE WHEELS, BLIND SPOT ASSIST, PANORAMA ROOF, BURMESTER SURROUND SOUND SYSTEM, HEATED FRONT SEATS. The C-Class is the epitome of a sporty, sleek, and roomy vehicle. It provides the best of all worlds and is up for any driving challenge it may come across. The C-Class is designed with muscular lines across the body of the vehicle that spark a sense of elegance, confidence, and capability within the vehicle. You will definitely turn heads and grab the attention you deserve when you drive a Mercedes-Benz C-Class, especially with the Illuminated Star in the grille shining bright, paired with the LED Logo Projectors that shine when you open the door! The interior is just as impressive as the exterior in the C-Class. The cabin provides a generous amount of room for a sedan of its size, and has the comfort and convenience in mind of the driver. With vivid and colorful displays, elegant dashboard components, and comfortable seating, the C-Class makes every single drive a happy and comfortable one. Not only is the interior comfortable, but it is modern and stylish. Enjoy the Heated Front Seats and Heated Steering Wheel on those crisp and cool mornings. The interior demonstrates a long rooted tradition of craftsmanship that is within Mercedes-Benz vehicles. You as the driver, as well as your passengers will feel like VIP's riding in style when you take a drive in the C-Class! PREMIUM PACKAGE, ILLUMINATED STAR, 18" TWIN 5-SPOKE WHEELS, BLIND SPOT ASSIST, PANORAMA ROOF, BURMESTER SURROUND SOUND SYSTEM, HEATED FRONT SEATS. Recent Arrival! 22/33 City/Highway MPG The C-Class is the epitome of a sporty, sleek, and roomy vehicle. It provides the best of all worlds and is up for any driving challenge it may come across. The C-Class is designed with muscular lines across the body of the vehicle, paired with 18" Twin 5-Spoke Wheels and an Illuminated Star shining bright in the grille, that spark a sense of elegance, confidence, and capability within the vehicle. You will definitely turn heads and grab the attention you deserve when you drive a Mercedes-Benz C-Class! The interior is just as impressive as the exterior in the C-Class. The cabin provides a generous amount of room for a sedan of its size, and has the comfort and convenience in mind of the driver. Enjoy the Heated Steering Wheel and Heated Front Seats on the coldest of mornings. Listen to your favorite music in clear surround sound with the Burmester Surround Sound System. Get started right away with the push of a button with KEYLESS GO®! With vivid and colorful displays, elegant dashboard components, and comfortable seating, the C-Class makes every single drive a happy and comfortable one. Not only is the interior comfortable, but it is modern and stylish. The Panorama Roof provides everyone with an open-air feel thanks to the sunroof that stretches from the front of the vehicle to the back. The interior demonstrates a long rooted tradition of craftsmanship that is within Mercedes-Benz vehicles. You as the driver, as well as your passengers will feel like VIP's riding in style when you take a drive in the C-Class!PREMIUM PACKAGE, ILLUMINATED STAR, 18" TWIN 5-SPOKE WHEELS, BLIND SPOT ASSIST, PANORAMA ROOF, BURMESTER SURROUND SOUND SYSTEM, HEATED FRONT SEATS. The C-Class is the epitome of a sporty, sleek, and roomy vehicle. It provides the best of all worlds and is up for any driving challenge it may come across. 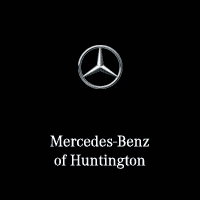 The C-Class is designed with muscular lines across the body of the vehicle, paired with 18" Twin 5-Spoke Wheels and an Illuminated Star shining bright in the grille, that spark a sense of elegance, confidence, and capability within the vehicle. You will definitely turn heads and grab the attention you deserve when you drive a Mercedes-Benz C-Class! The interior is just as impressive as the exterior in the C-Class. The cabin provides a generous amount of room for a sedan of its size, and has the comfort and convenience in mind of the driver. Enjoy the Heated Steering Wheel and Heated Front Seats on the coldest of mornings. Listen to your favorite music in clear surround sound with the Burmester Surround Sound System. Get started right away with the push of a button with KEYLESS GO®! With vivid and colorful displays, elegant dashboard components, and comfortable seating, the C-Class makes every single drive a happy and comfortable one. Not only is the interior comfortable, but it is modern and stylish. The Panorama Roof provides everyone with an open-air feel thanks to the sunroof that stretches from the front of the vehicle to the back. The interior demonstrates a long rooted tradition of craftsmanship that is within Mercedes-Benz vehicles. You as the driver, as well as your passengers will feel like VIP's riding in style when you take a drive in the C-Class!